Perrin Law helps those in the metro Detroit area to fight for what they are entitled to. We specialize in elder neglect and abuse, child sexual abuse and neglect, legal malpractice, business litigation and personal injury cases. The lawyers at Perrin Law firm are also called upon to be expert witnesses in cases across the country. Follow Our Blog "MI Lawyer: Legal Perspectives"
We have been representing people and businesses in the courtroom for over 25 years. We are dedicated to ensuring that, whether you’ve been wrongly sued or someone you love has been woefully mistreated, justice is served. This blog is dedicated to taking the most cutting edge legal decisions, opinions, and rulings, and translating them from “legalese” into English, and how they affect us. Read "MI Lawyer: Legal Perspectives"
Our lawyers do more than show up for court. We’ll work hard to ensure you get the justice you deserve. We serve survivors of elder abuse and neglect, child sexual abuse and neglect, and personal injury. 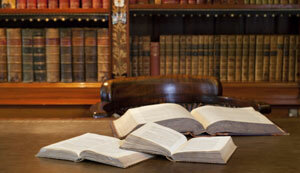 We also have extensive experience with business litigation and legal malpractice cases. We help survivors of child sexual abuse find the correct resources, legal and otherwise, while advocating for justice.